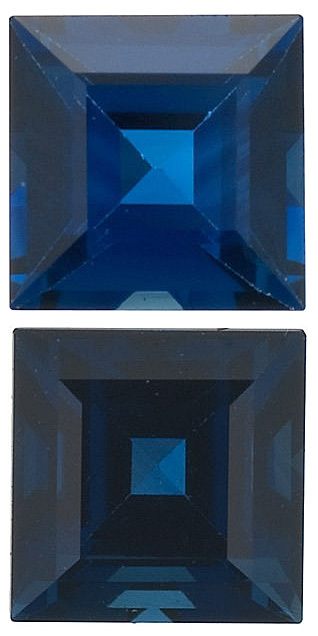 So Pretty Gemstone Blue Green Sapphire Emerald Cut, 2.78 carats, 7.8 x 6.7 mm This Genuine Sapphire Gemstone Displays A Vivid Medium Teal Blue Green, Excellent Clarity, Cut And Life. A Beautiful Stone In A Very Desired Shape And Shade Of Color,With An Attractive Outline And Proportions, Very Bright And Lively. 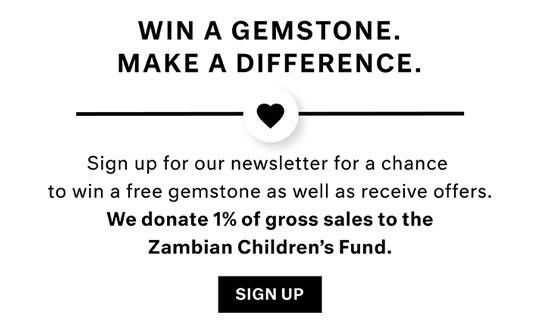 A Great Find. 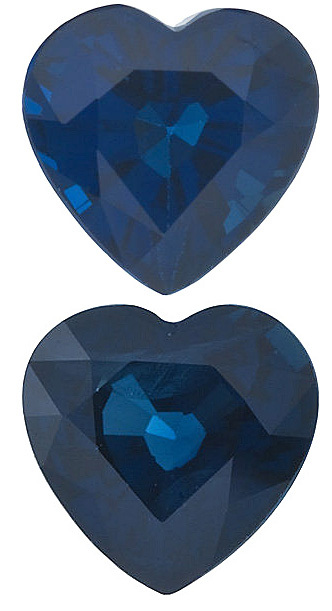 This is the perfect blue sapphire stone for those wanting a "perfect" round cut Blue Sapphire for a blue sapphire engagement ring. 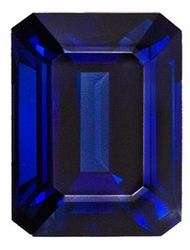 This beauty displays fabulous rich royal blue color, is very well cut (notice straight pavillion, not bulgy and deep!) and is very clean. Doesn't get much better than this. 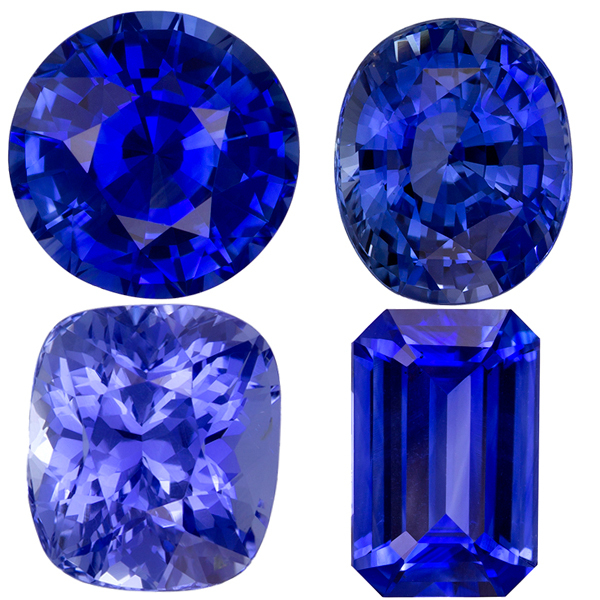 Blue Sapphire gemstones, one of the most treasured and timeless of all gemstones, encompass a wide variety of color tones and shades. 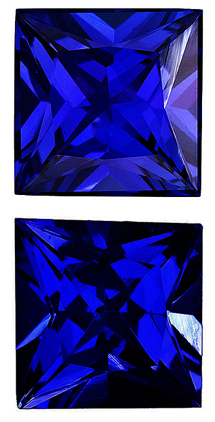 Fine quality blue sapphire gemstones must have a vivid, intense blue color, sometimes called a "cornflower blue sapphire". 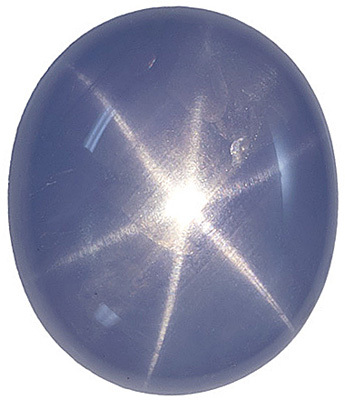 Loose, high quality faceted blue sapphire gemstones have always been an AfricaGems trademark, we have more than 300 individual blue sapphires available to you immediately. 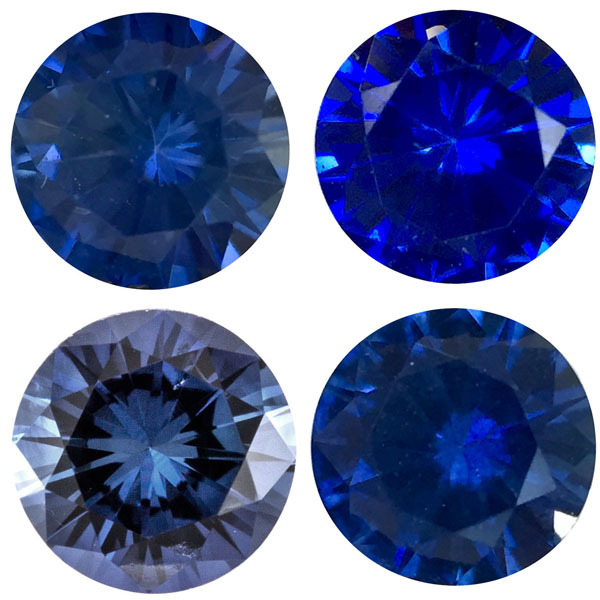 We have an unusually large selection of fine quality unheated blue sapphire at very attractive prices. 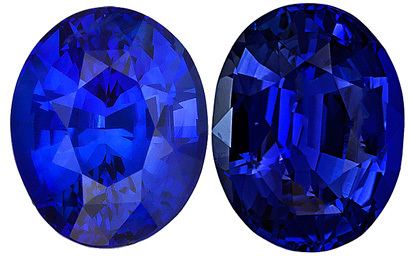 Like our other loose gemstone collections, we select our blue sapphires for color, clarity and price. 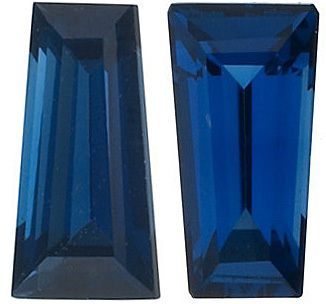 Like all sapphires, blue sapphire is very durable and lacks any cleavage, which has made blue sapphire one of the most important precious gemstones for centuries. 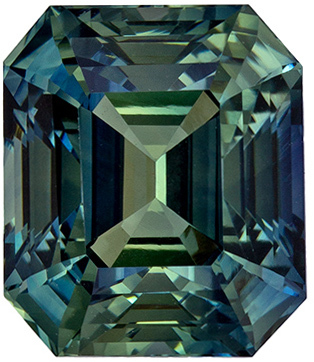 The most valuable gems come from Sri Lanka, Burma and Kashmir. Kashmir production is almost nonexistent. Other important high quality sources recently discovered are from Madagascar. Besides color, evenness and uniformity of color, or lack of zoning, is very important. 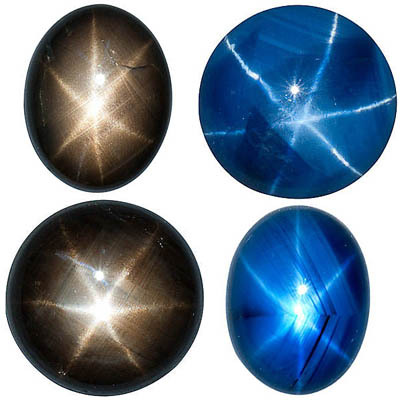 Flaws diminish the price more so than in fine rubies. 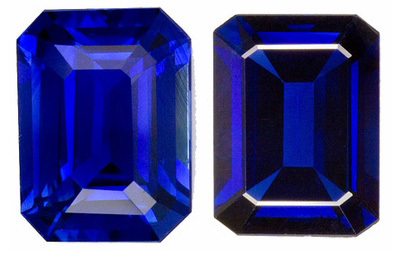 Blue sapphires are commonly heat treated to improve color and clarity, but treated stones do not command the prices that a fine, vivid blue natural color gem does. 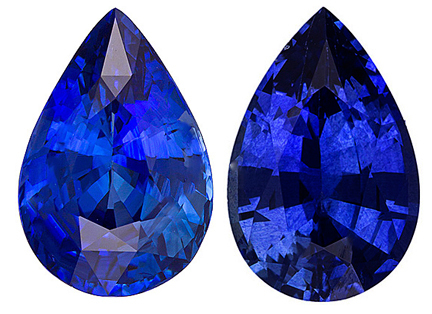 Many of our blue sapphire gems are accompanied by a third party certificate and appraisal. 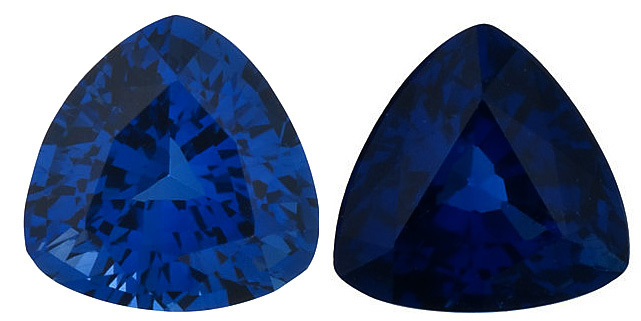 Many of these sapphires have been recut in the USA to American standards and cannot be compared to native cut gems. 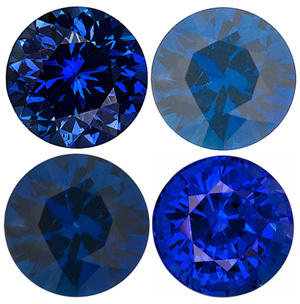 Our USA cut sapphires have unsurpassed brilliance, and a much sharper "look" which makes all the difference in the finished jewelry product. 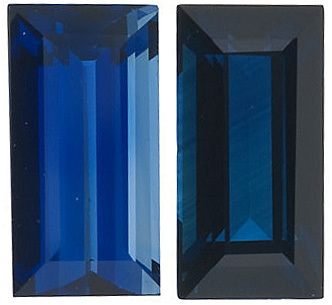 See some of our gorgeous blue sapphire gemstone rings and sapphire custom gemstone pendants. 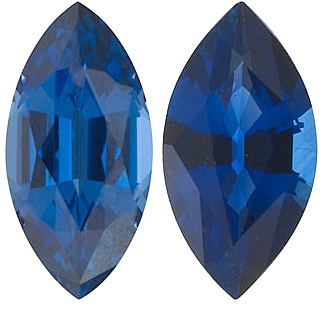 Blue Sapphire Gemstones have long been a classic choice for engagement rings and with the new Duchess of Cambridge, Kate Middleton, wearing the late Princess Diana's fantastic Sapphire ring it is becoming an even more popular choice. 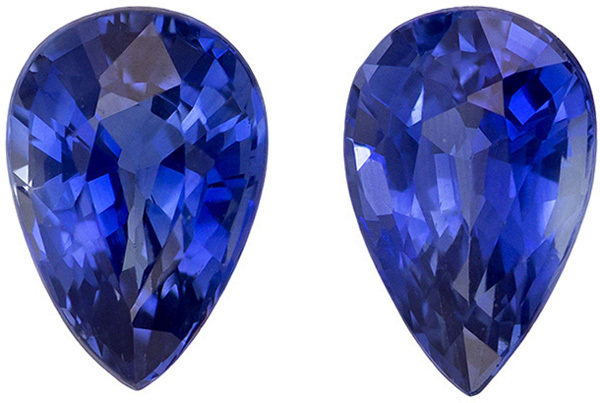 Blue Sapphires make a statement of trust, loyalty and fidelity and are a great gift to give to a special lady!